Road trip season is near! If you’re ready to hop in the car and hit the road, we have a whole bunch of destinations to point your car towards. These trips are four hours or more from the Indianapolis area. If there’s one place I want to return to when my kids are a tiny bit older, it’s The Wilds in Cumberland. Think Jurassic Park meets African safari. We took two toddlers and an infant and had a fine time, but it’s best suited for families with elementary school aged kids. Look for opportunities to camp or stay on site. It’s amazing! While you’ll have to hold off a little longer to hear about ALL of the things we love about Grand Rapids, you can check out some information on our favorite place in Grand Rapids, the Frederik Meijer Gardens and Sculpture Park. We have so many ideas for your next trip to St. Louis but if you only do one thing, the City Museum must be it! Our trips to STL are planned around our visit to the City Museum. Everything else just falls into place around this centerpiece. More ideas soon, but for now, learn more about the City Museum! Our trip to see where the great rivers meet was a true testament to the power of our waterways. We found scenic drives, outdoor fun and plenty of exploring. You can drive a houseboat. No, really, you can! A few summers ago I took 20 teenagers on a week long houseboat trip to Lake Cumberland and I can’t wait to take my own kids! As soon as everyone in our family has great swimming skills, we’re booking our next trip! Check it out! It’s totally crazy to make this a day trip, but many people do (I’ve done it and I don’t recommend it as a trip that’s any less than one overnight — maybe a few nights). We loved the drive through safari wild animal park. 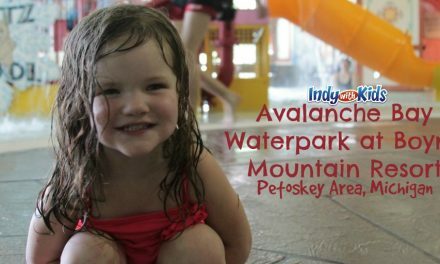 Many families come here for other local attractions and because of it’s proximity to Cedar Point amusement park, indoor water parks and other fun places to play. With its rich musical history, Nashville is a music lovers dream. While country music dominates, all music is present and represented. Art, science and outdoor fun are some of the offerings of this area. A weekend trip would be nice but a bit longer would be even better. We’ll have some more details about our visit soon, but if you are looking for a place to stay, may I recommend the Gaylord Opryland Hotel? Pittsburgh is still one of the most talked about road trips in our house. The kids loved everything from the zoo to the street market, the delicious food to the splash pad, riding the incline to the pirate party on the boat. If you’re looking for museums or spectator sports, you’ll find those here too! A weekend is a must, three or four days away would be better. Here are a whole bunch of family friendly ideas for your visit to Pittsburgh. Every time I’ve been on the road headed south, I’ve always seen those famous red barns that tell me to “See Rock City.” I finally followed their command and it was pretty cool! As we prepare the video from our visit, sit tight. But if you’re ready to plan your own trip, do it! It’s a great place to visit for the family that loves walking and exploring up high and down low. This weekend getaway location is full of water, outdoor fun, adventure and family time. The views are breathtaking and the opportunities to try something new are around every corner. Here are the 11 best things we did on our trip to the Petoskey area. Looking for a substantial family vacation? Niagara Falls is EVERYTHING you’ve heard it is. Whether you stay and play on the US side or travel with a passport across to the Canadian side, you’ll have a fantastic time and experience water like you never have before. Here’s all of the fun we had on the New York side of Niagara Falls. The Atlanta area is one of our favorite places to visit. We typically visit for a week at a time and try to cram a lot of fun in. The last time we took a trip there, we went panning for gold. This summer we’re sharing some of our favorite Atlanta hot spots in a special way, so stay tuned!